Sprinkler irrigation rust stains can cost you and small businesses a lot of money, time and labor. If your sprinkler system has rust stains or other rusty related water stains, preventing spots is simple as adding our Irrigation Tank System from Pan American Landscaping, LLC. We use a specially formulated rust stain prevention that can remove any stain. The idea is simple: use our lawn sprinkler irrigation system to spontaneously avert rust stains while you are treating your grass by running water! We will install our Irrigation Tank System and can also service the tank on a monthly basis with the Rust Stain Prevention service plan that will bring the correct quantity of rust stain prevention every time your sprinkler system is running. Our rust stain prevention counteracts the iron from the well water to stop corrosion stains from forming before they become noticeable to the human eye. The system is actually effective and perfects most outdoor/exterior areas and is safe for plants and grass when used properly. 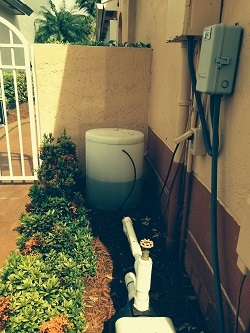 Pan American Landscaping Irrigation Tank System works on driveways and sidewalks, these are the most common problems for businesses and residences. Beautify your landscaping and property – Prevent ugly rust stains from ruining the appearance of your home, windows, grounds and garden. Mindlessly prevent rust every time the sprinkler system runs. Connects to your pump, requires no electrical connections. If you are having problems with rust stains from your sprinkler system that are tarnishing the presence of your property and landscaping, please give us a call. 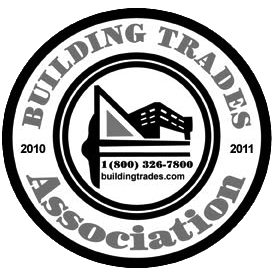 We will be glad to meet with you and give you a free no-obligation estimate. Residential & Commercial Rust Stain Prevention service throughout Broward County including: Coral Springs, Dania, Davie, Fort Lauderdale, Hallandale, Hollywood, Lauderdale Lakes, Lauderhill, Miramar, Pembroke Pines, Southwest Ranches and Weston.